Had these people known what would happen by staying at this particular hotel, on Christmas Eve of 1962, chances are they’d never have booked a room there in the first place. But alas, none were the wiser, and now it’s up to you – the only survivor – to solve this murder mystery… before the killer strikes again! 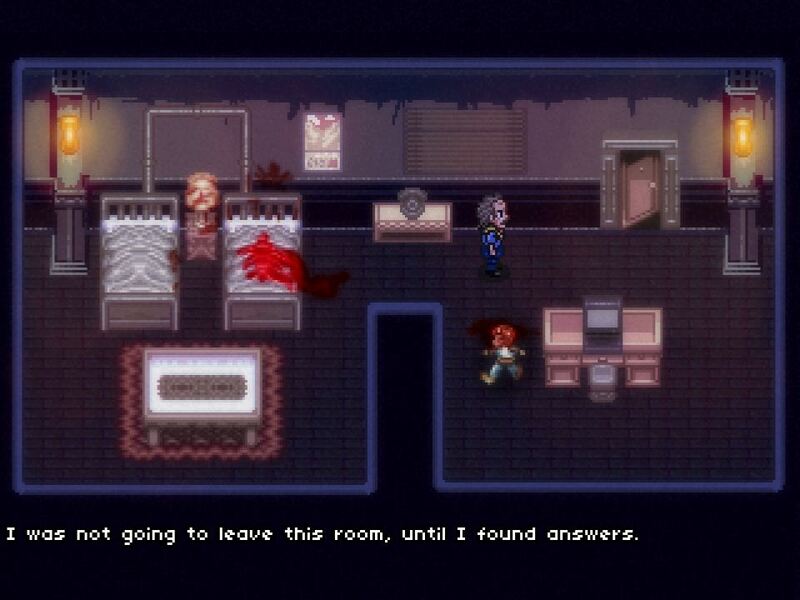 As the game begins, you’re introduced to each victim by playing out their final moments. Ick. An interesting, if a bit macabre choice. While Dakota is not for the faint of heart, the game is not a gory mess either, with body parts flying everywhere or any such nasties. Blood will be spilled though, followed by screams that echo throughout the dark and lonesome night, as one by one, people fall victim to a ruthless psychopath. How the protagonist survived the incident unharmed, we’ll never know. As it stands, he’s also the only one capable of cracking this case wide open, and as such, refuses to leave the crime scene of the final two victims, until everything adds up. Seeing how the game takes place in the 60’s, you won’t be doing crazy CSI stuff or have any fancy gadgets at your disposal either. Deductive reasoning is all you have to work with, and for the sake of family and friends of the victims, that had better be enough. 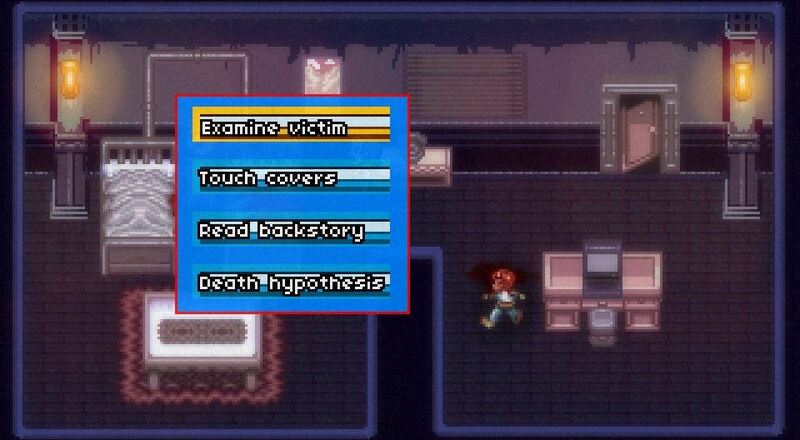 Clicking on either victim or other hot spots, brings up a menu containing possible actions, each of which might contain a potential clue or information. The game automatically combines these like pieces of a puzzle, slowly bringing you closer to solving this Christmas homicide in… Dakota.